Course: 1 ruble - 2 credits. 2. 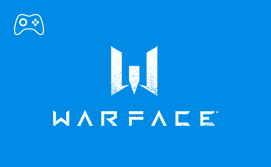 Enter the login or email in the Warface project for automatic crediting. 2. The minimum amount of replenishment is 20 rubles, the maximum amount is 15,000 rubles. Buy Credits in the Warface project can be for WebMoney, Yandex.Money, QIWI, credit card and other means.